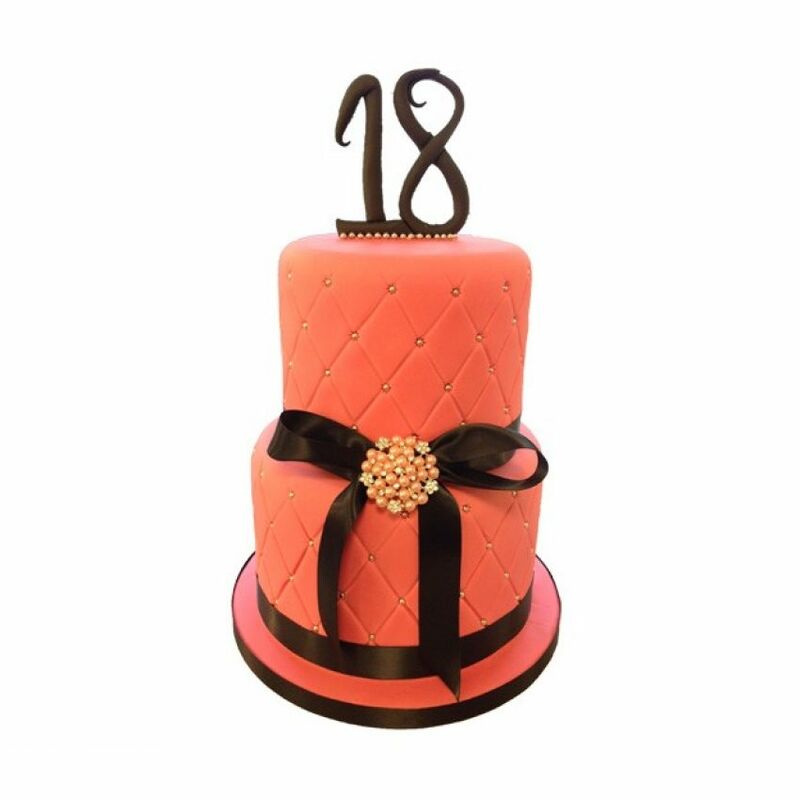 This vibrant pink with contrast black 2 tier cake creates a stunning impact. It is decorated with edible metallic studs and a satin black bow to create 'the wow factor' at any party. You can have any number on the top of the cake.